As a start of our Hereford Art Week events, please come and join us for a glass of local wine or perry at the Wobage Autumn Private View with live music from violinist Graham Smith. 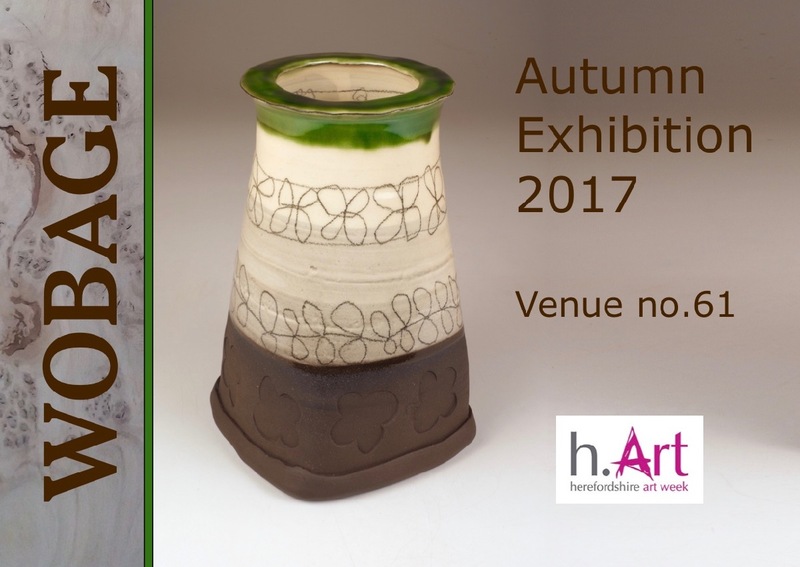 The gallery will then be open every day as part of Hereford Art Week from Saturday 9th to Sunday 17th September, 10am to 5pm. An excellent opportunity to meet Wobage makers and to see some of our new work whilst enjoying a fresh brewed cup of tea or coffee. A range of specially selected local makers and food producers will be selling their wares in the Big Barn.